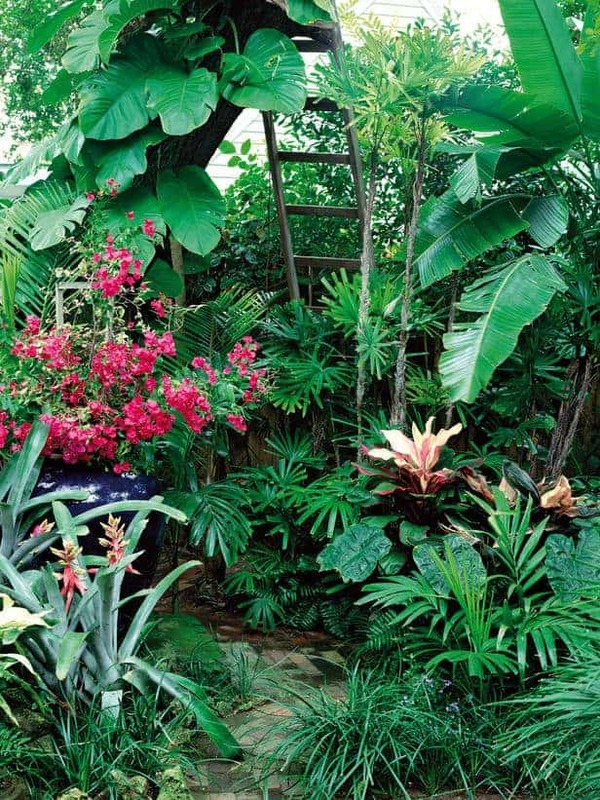 If you are of the notion that a tropical garden calls for high maintenance, you are wrong. Such a garden can wonderfully survive low attention if it is properly designed. 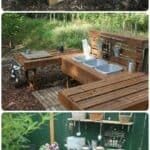 From choosing the setup of the garden to selecting the proper plants, here is a stepwise guide to go ahead with your dream tropical garden. This is a very important consideration since all tropical plants do not grow in similar climatic conditions or on the same type of soil. Hot places are good for some while there are others that thrive well in mild winters. After taking a close look at the area you have, draw out a design of the landscape, keeping in mind the existing trees and structures. Try not to eliminate trees, rather surround them with plants. Dining area, pool, walkways can also be fitted in. The internet is right there to help you if you are lacking good ideas. 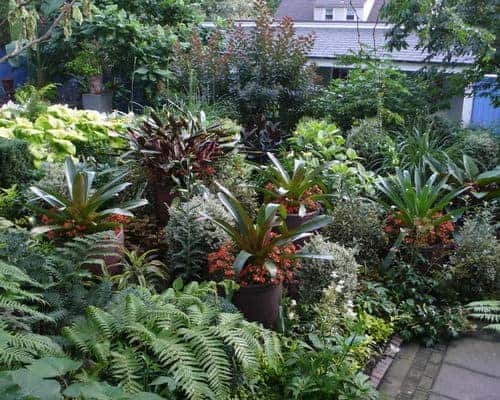 Get some idea from some existing tropical garden designs over the internet. You may even come across plants which will be best for your garden. If you have a natural shade cover such as a big tree, that’s best. Plants which cannot bear excess heat can grow under the shade. 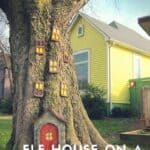 If your garden has no big trees, you can establish some structure. 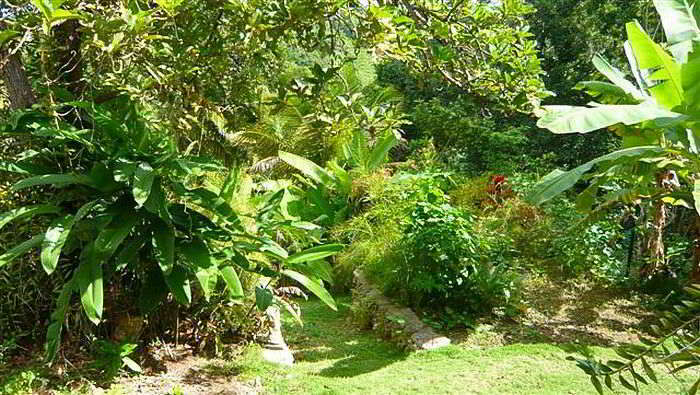 A tropical garden means lush foliage since it is similar to a natural forest where plants grow as per their own will. So, allow plants to overlap and even climb over one another. Shrubs like ferns are good, but in addition to that, consider plants that have big leaves. 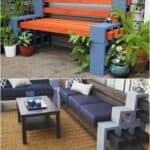 They will not only increase the density of your garden but also enhance the tropical feel. Moreover, do not forget to include exotic plants with bright, uniquely shaped flowers. 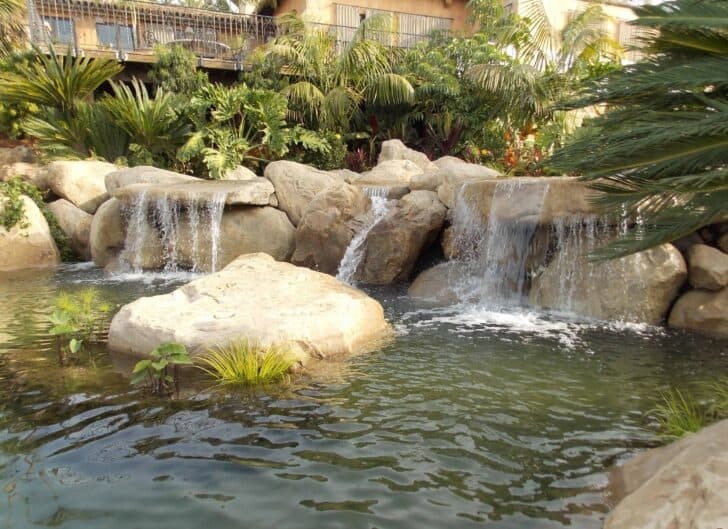 Make your tropical garden complete by roping in a water feature like a spa, pool, hot tub or simply a fountain or a pond. Add some more finesse to a rock structure, a sculpture or any other decorative feature. Now that your tropical garden is ready, you need only a bit of maintenance. Clean it periodically, removing harmful insects and dried leaves, and also ensure that all the plants are healthy.